Mix dry ingredients, set aside. Melt butter; add milk, syrup and egg. Mix with dry ingredients just to moisten. Bake in buttered cornstick or muffin pans 12-15 minutes, or 8″ X 8″ baking pan for 18-20 minutes. 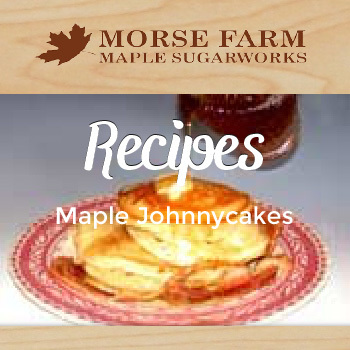 Best served with Morse Farm pure Vermont Maple Syrup or Morse Farm Maple Cream.